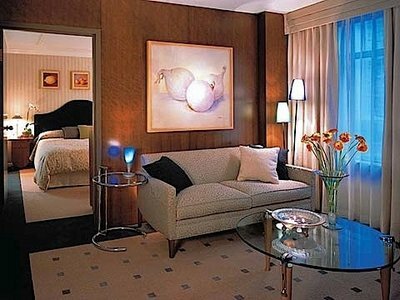 Each of these deluxe, one-bedroom suites emphasizes a different artist and design movement. Works by Otto Rogers, Carmelo Sortino, Bernard Gantner, and Jean Pierre Cassigneul are complemented by decor and furnishings reflecting Art Deco, Italian Modern, French Provincial, and Neoclassical styles. These one-of-a-kind suites have been featured in numerous hotel and design magazines, and are a favourite among those looking for a little extra in their travel experience. All rooms are 100% smoke-free.